No matter how you look at it, but 2008 will surely be remembered for one game. This was none other than Dead Space, developer Visceral Games’ contribution to the survival horror video game genre, and arguably the year’s top game. This was an exciting (and bloody violent game too) which managed to combine pant-wetting horror and superb action with a great sci-fi story, plus its setting (the huge “planet cracker” spaceship Ishimura) is one of the greatest in gaming to date. Sadly, though, the game’s sequels did not really live up to the superb original, and 2013’s Dead Space 3 ended up being the last nail on the coffin for the franchise thanks to its mediocre reviews and not so great sales. What was even more shocking was the fact that publisher Electronic Arts saw no more need for the talented team at Visceral Games, and decided to shutter the studio in late 2017, putting the Uncharted-style Star Wars game the US outfit was in the process of building on hold, a game which will now likely end up being a completely different beast when it finally sees the light of day. In the aftermath of Visceral Games’ closure, its key staff members found home somewhere else, and the likes of creative director Ben Wanat are now at Crystal Dynamics, a team now busy putting the finishing touches on the next Tomb Raider game. 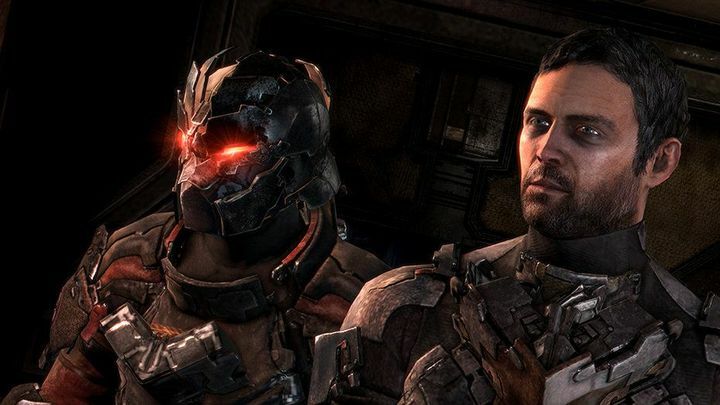 Speaking to Eurogamer recently though, Wanat revealed what Visceral’s plans for another Dead Space game would have been, also expressing hope that the franchise might return someday. “It would involve getting the development cost pushed way down”, Wanat told Eurogamer, adding that “I think you’d have to focus much more on a fantastic core experience: dread, horror, and great dismemberment combat – you’d also have to forego some of the ridiculously expensive one-off action moments”. Also interesting is the fact that engineer Isaac Clarke (the protagonist of the first three Dead Space games) was not planned to be the lead of Dead Space 4, rather Ellie Langford was to fill in Clarke’s shoes, becoming the first female lead of the series. Ellie Langford could have been the next Dead Space protagonist, replacing stalwart Isaac Clarke in the game. And while the first game let players roam the Ishimura (a huge location for sure), Dead Space 4 was going to take things further and give players and entire flotilla of spaceships to explore, meaning this could have been one hell of an intergalactic open world game instead of the more linear horror games the first three entries in the series were. “The flotilla section in Dead Space 3 hinted at what non-linear gameplay could be, and I would have loved to go a lot deeper into that”, said Wanat. “The ships you would visit are where the game would get really diverse. The Ishimura had some inkling of that diversity with the variously themed decks. But imagine an entire roster of ship types, each with unique purposes, floor plans, and gameplay. Our original prototypes for the Dead Space 3 flotilla had some pretty wild setups that I wish we had been able to use”, added the former Visceral man. It wouldn’t be a Dead Space game without those hideous monstrosities known as the Necromorphs though, and Wanat and his team also had new ideas for the creatures, such as these being able to follow players in the game’s zero-g environments. “Make a zero-g enemy that can snake through zero-g corridors, propel itself in open space, and grapple with the player to tear off his mask and eat his face? Then I think you’d have yourself a good old time”, Visceral’s former creative director explained. The thing is, will Dead Space 4 ever become a reality and let fans of the series enjoy another epic survival horror experience? This remains to be seen (and seems like a rather long shot at this time), but here’s hoping this great space horror series does return in some form or another someday though.